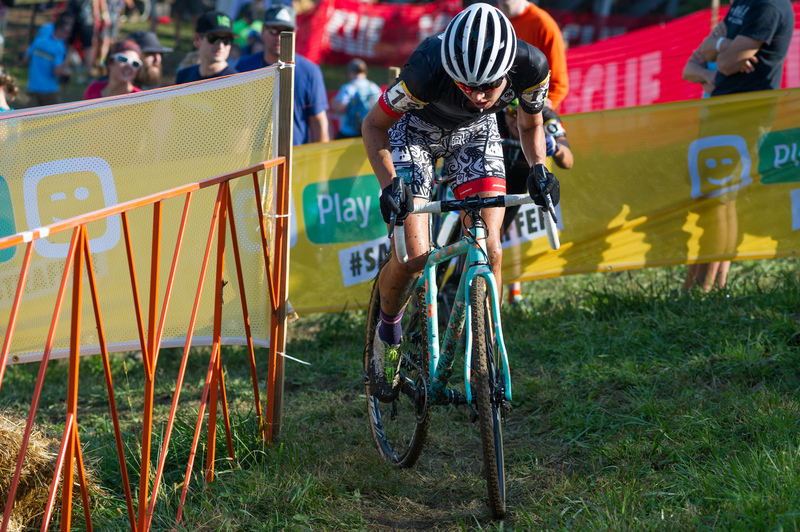 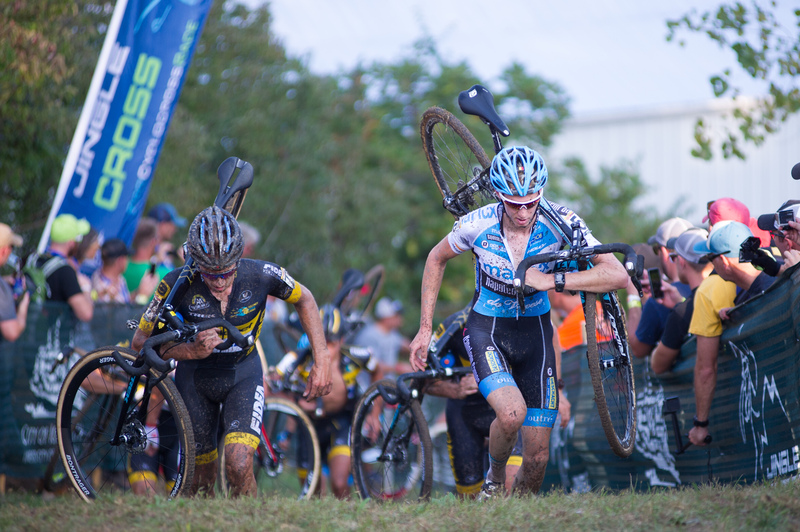 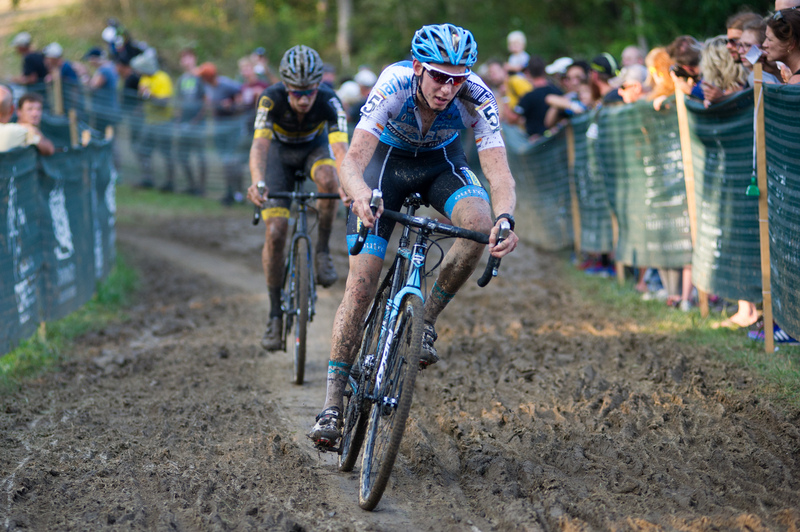 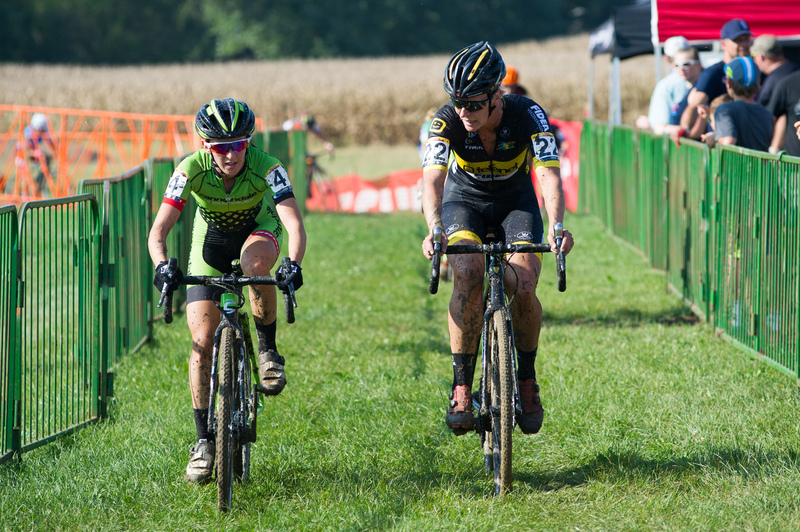 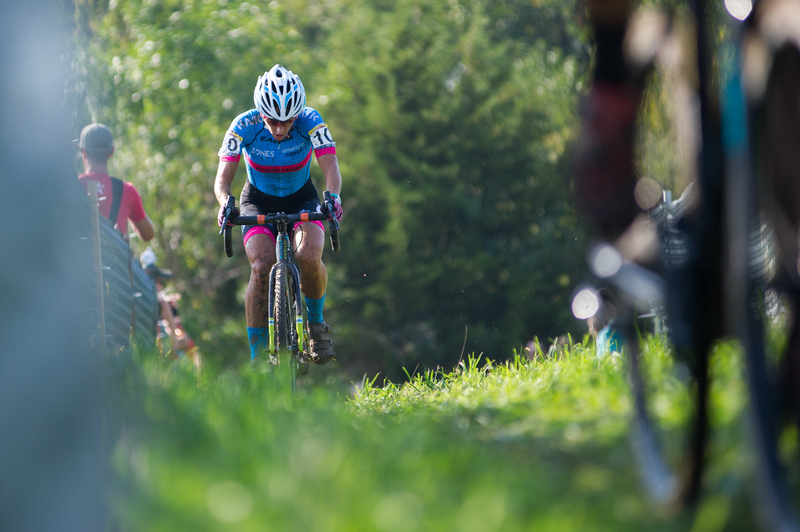 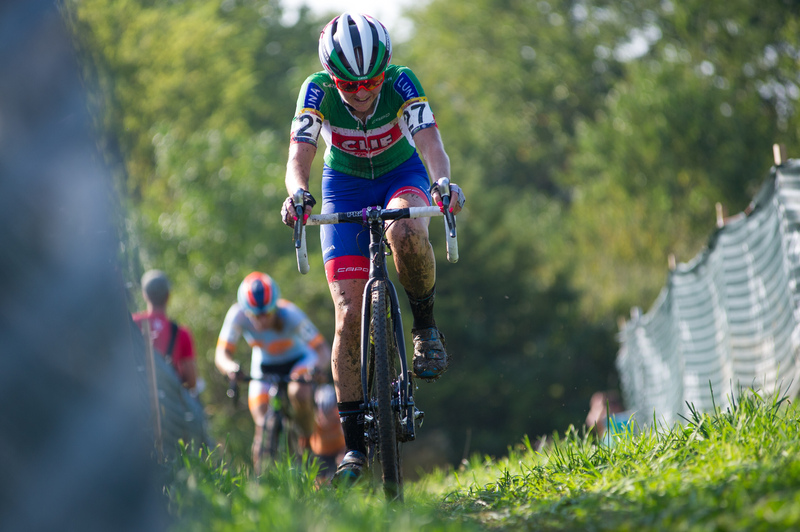 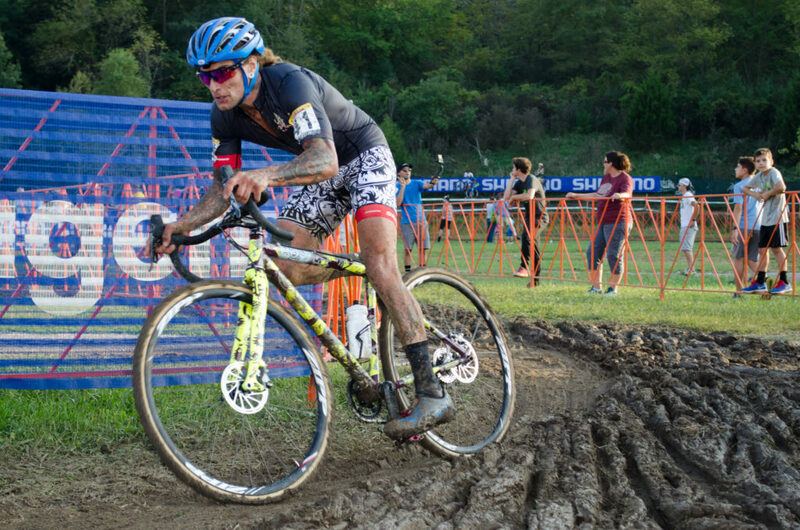 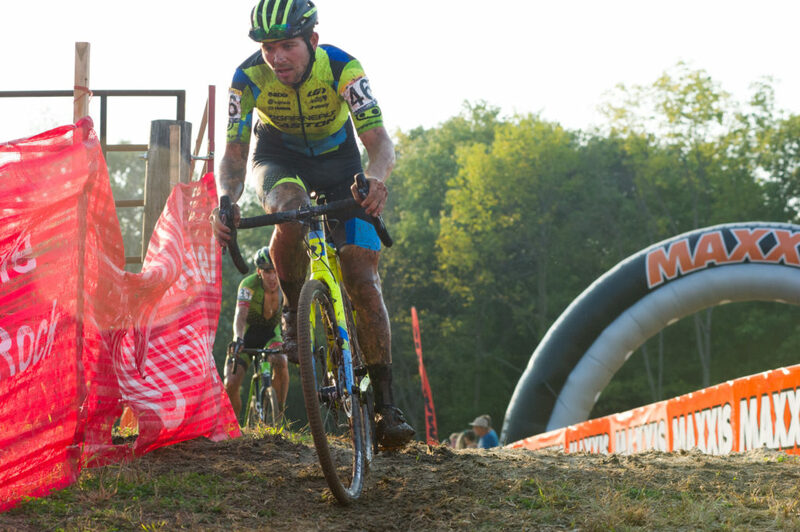 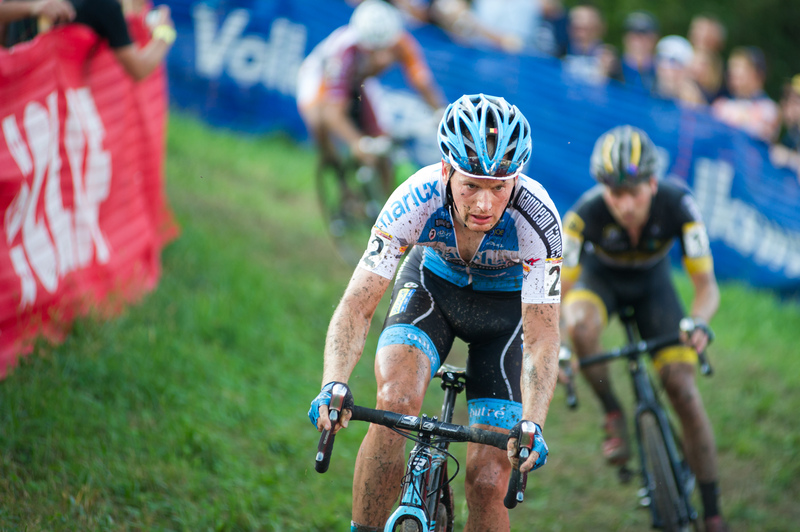 The Iowa City Jingle Cross World Cup course is legit. 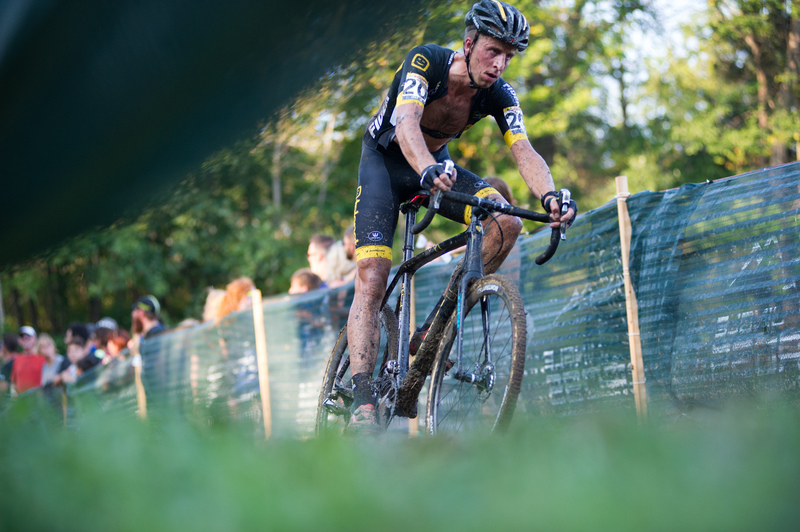 Muddy conditions, big climbs, fast descents, technical off-camber sections … Johnson County could be plopped down in the middle of Belgium and not be out of place. 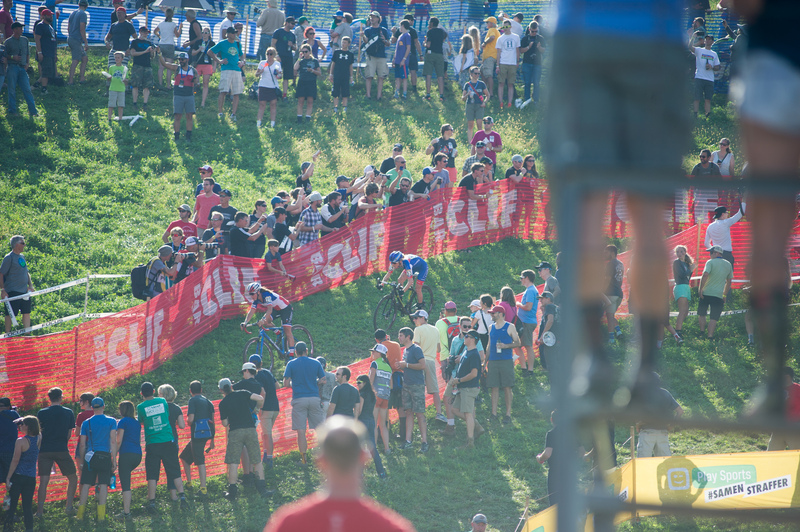 The number of exciting features on the course meant the crowd was spread out over the entire venue, so if it looked like the crowds weren’t huge on television, it was only because there was too much good stuff to see. 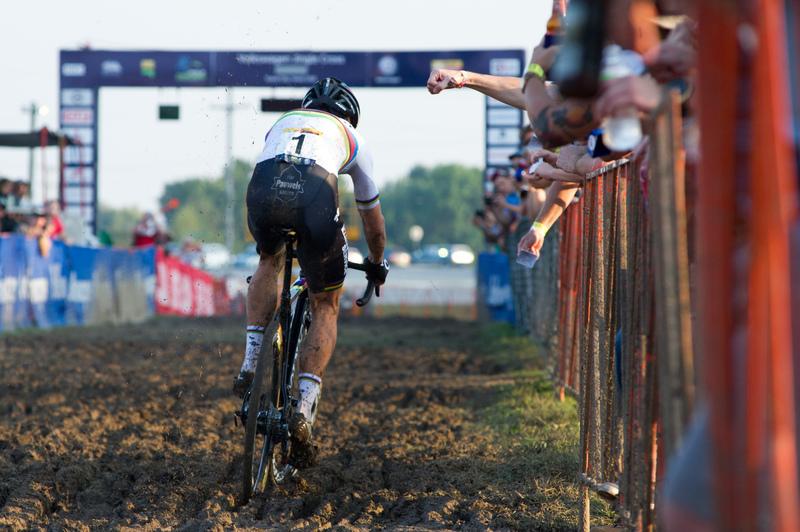 Along those same lines, Iowans know how to have a good time. 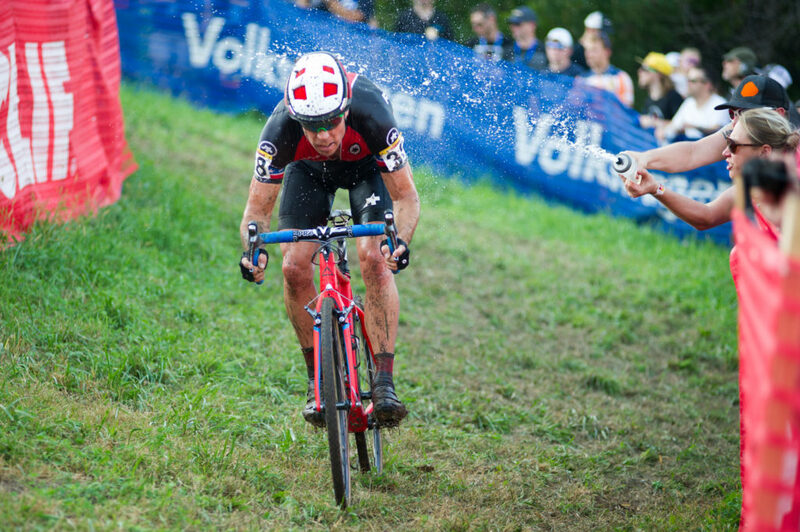 That was some fun good-natured spectating. 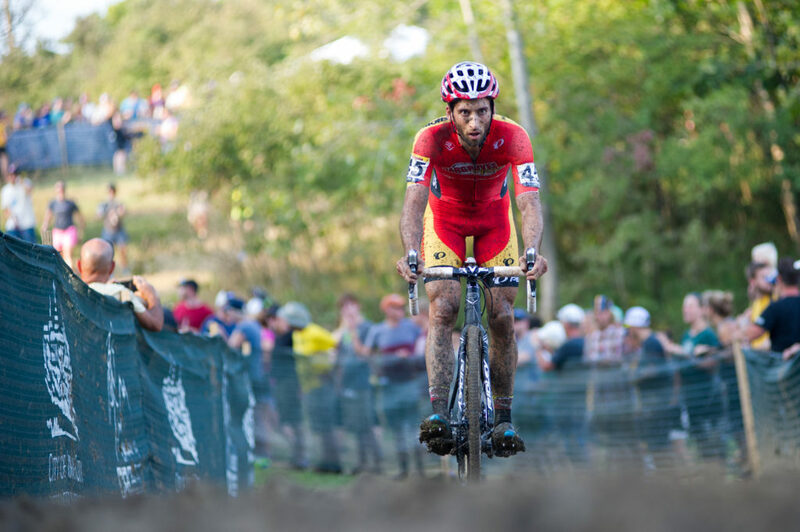 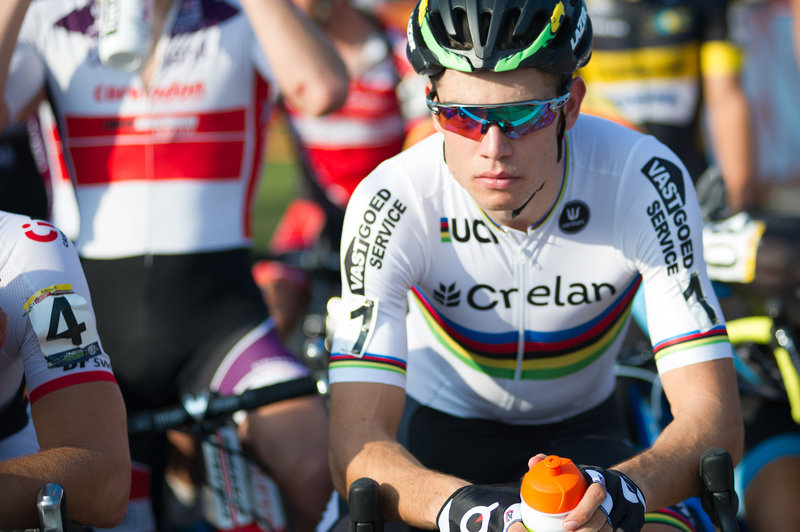 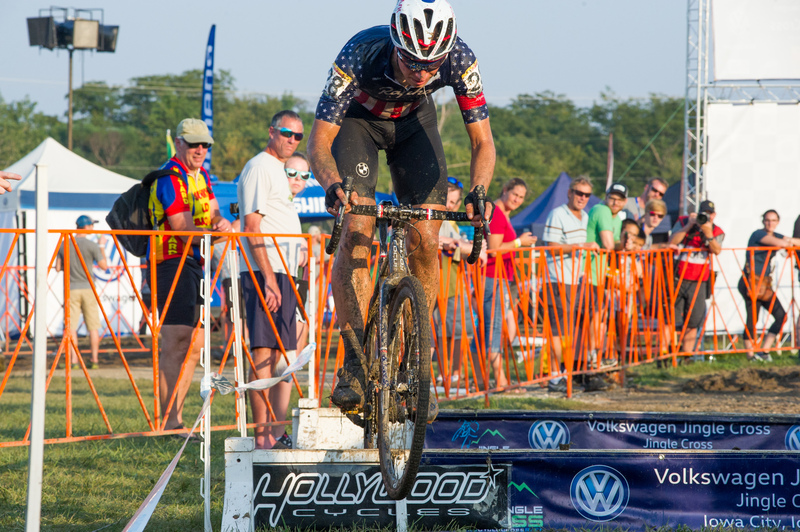 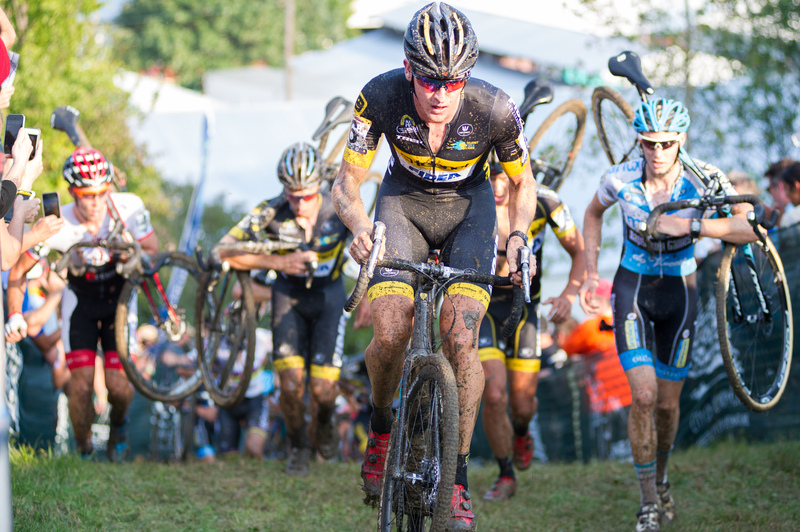 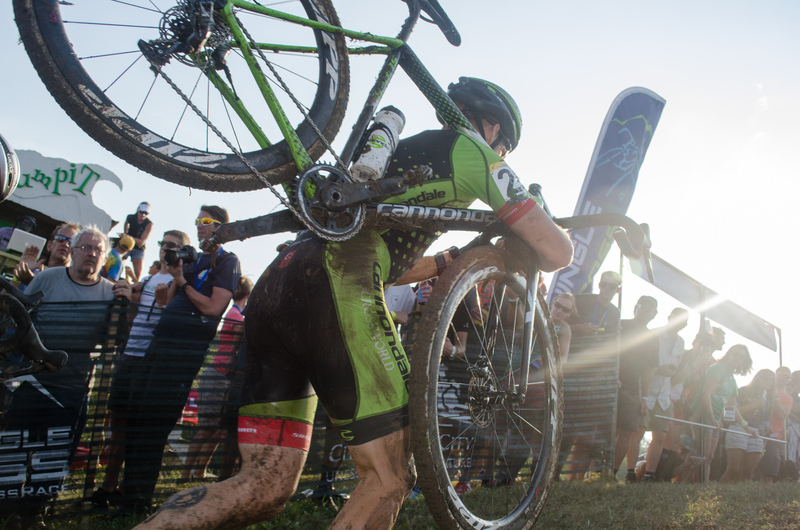 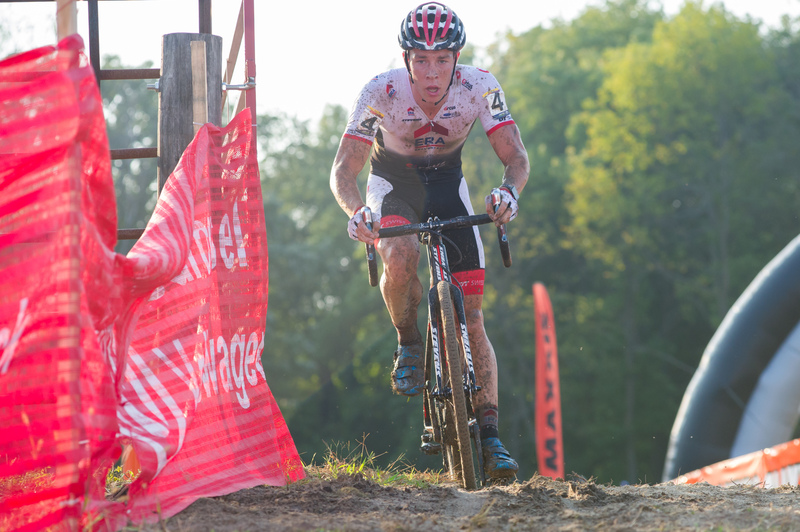 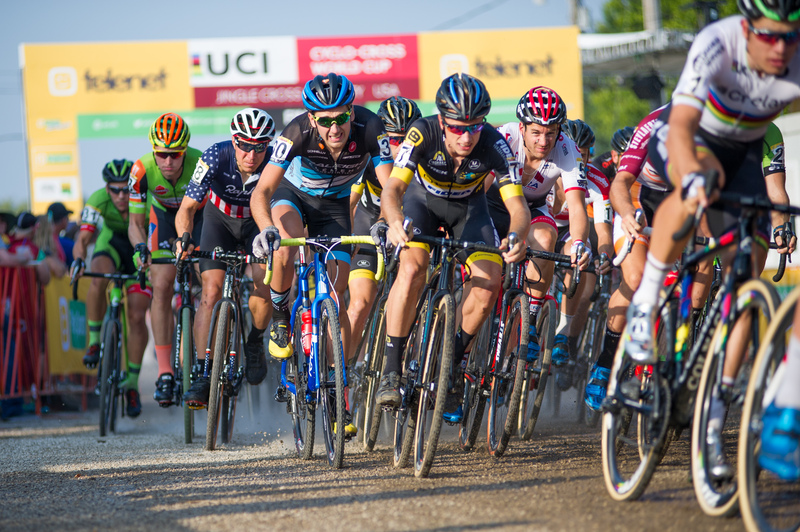 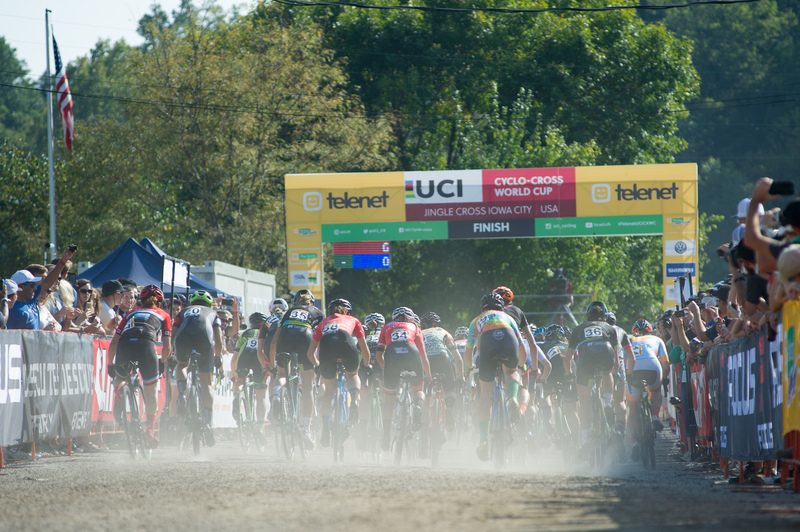 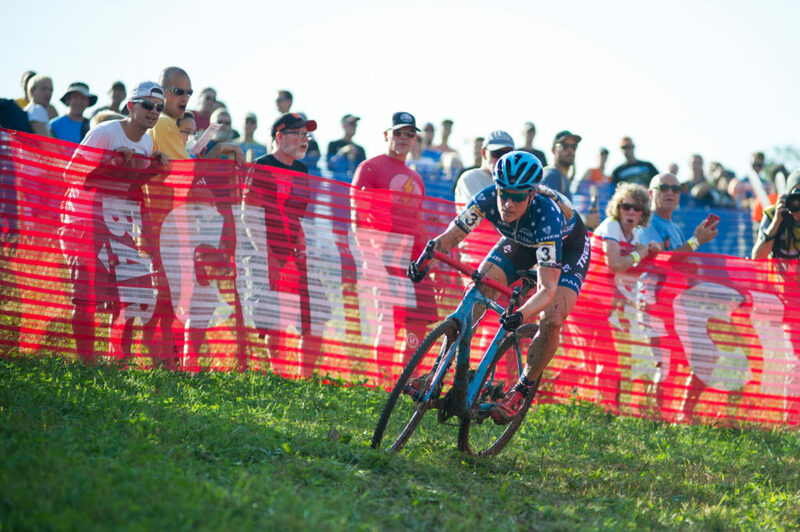 It was great to have the European riders in the U.S. to get a glimpse of how far we’ve come with American cyclocross. 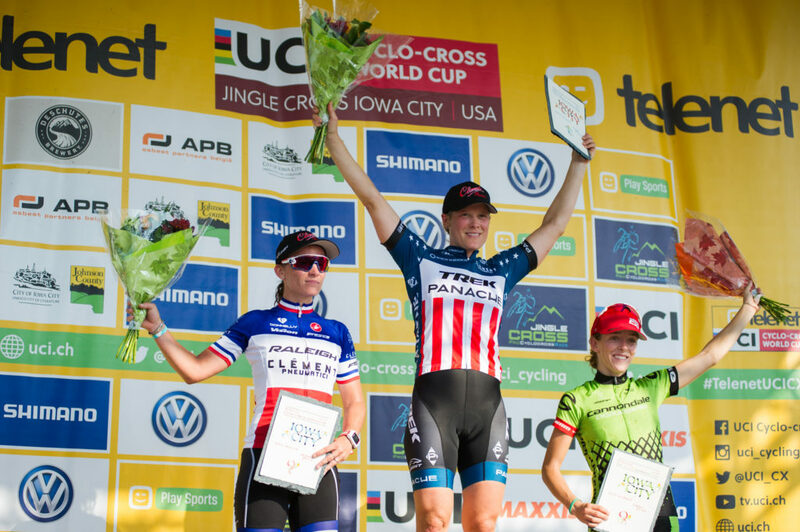 Hopefully next year, we get even bigger international fields … especially on the women’s side. 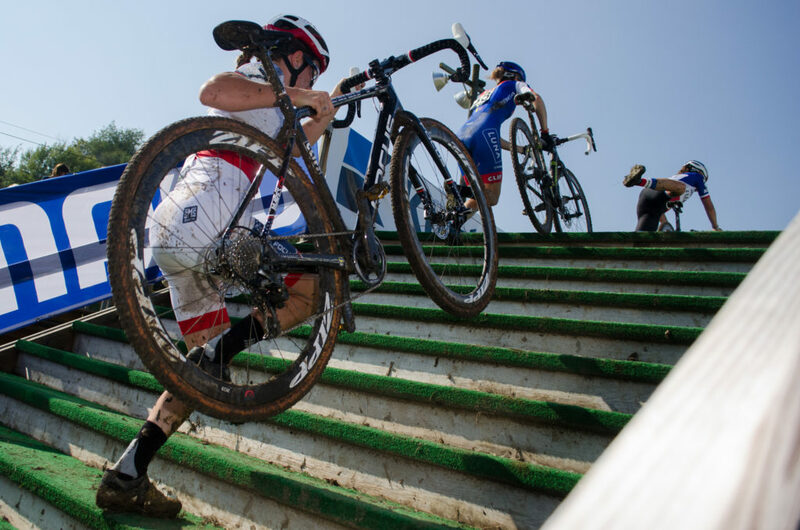 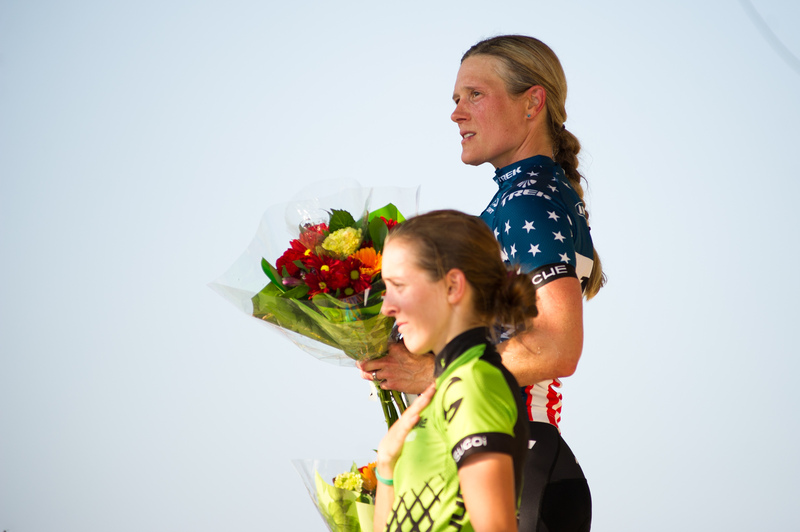 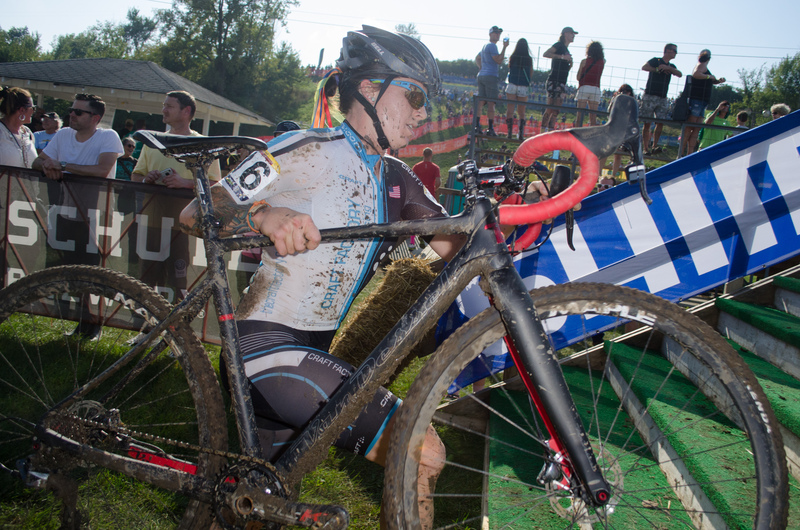 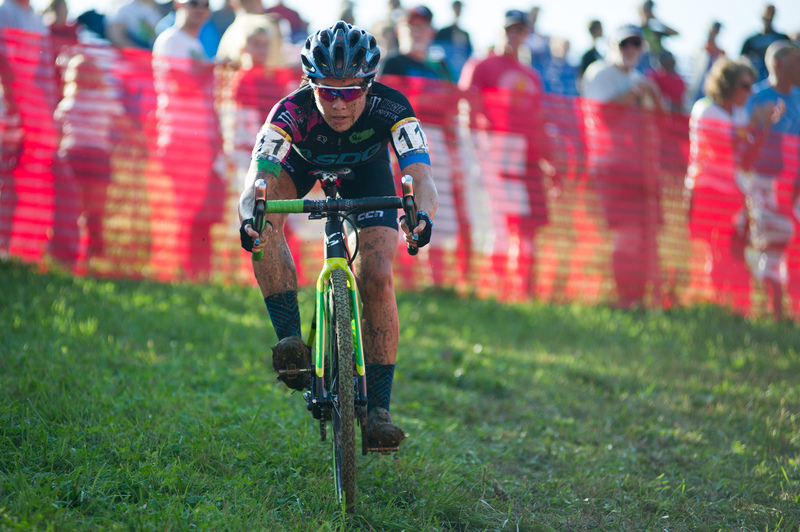 Speaking of U.S. riders, it was awesome seeing Katie Compton back on the top step. 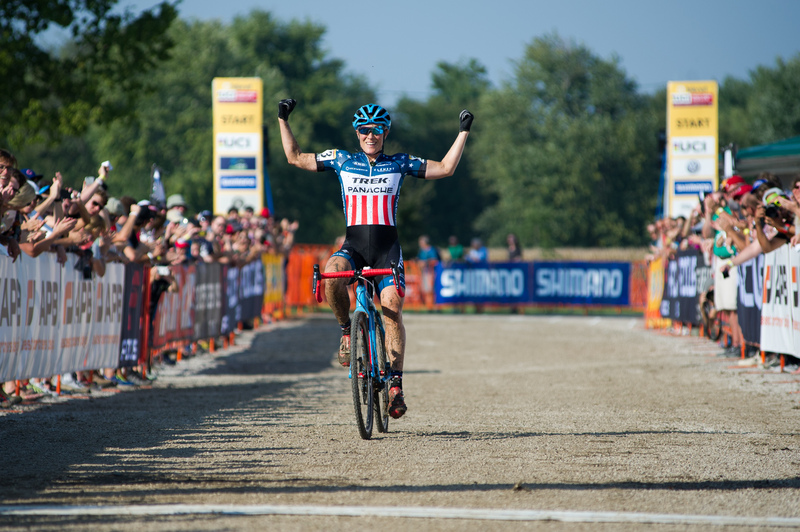 I knew she’d be back and to do it in the U.S. in front of a home team crowd was the best. 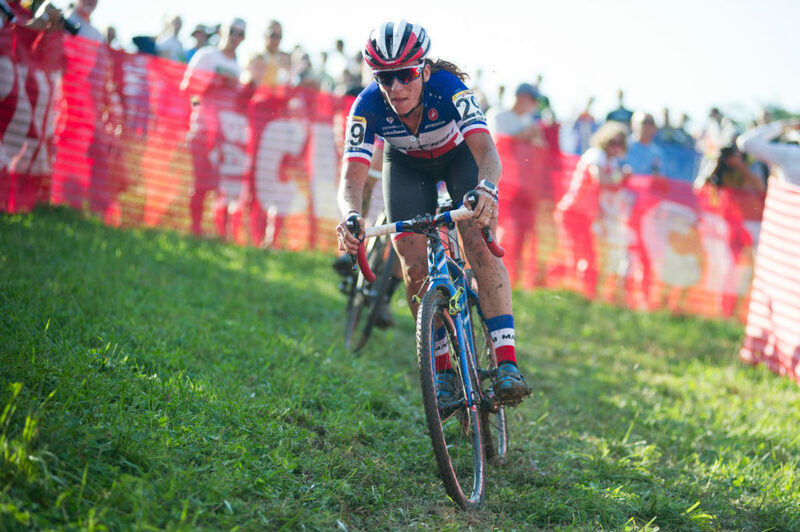 If you missed the earlier post, here’s a quick interview with Katie. 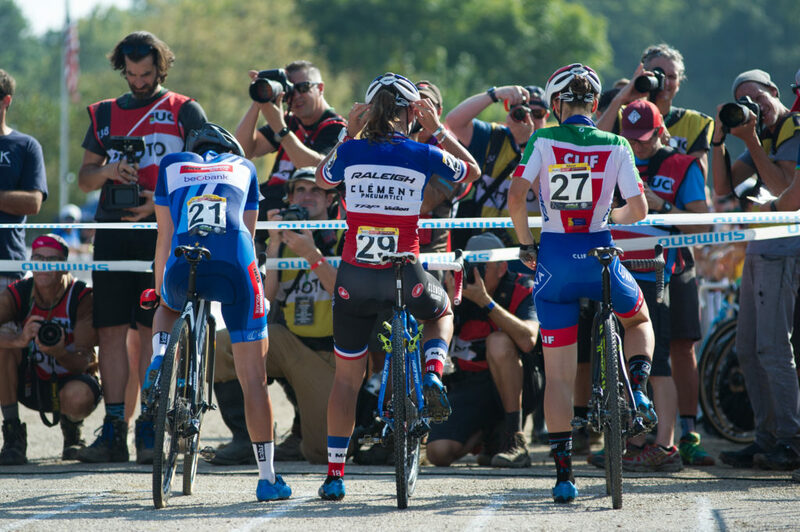 And finally, it’s been great having Ethan Glading along to capture the action. 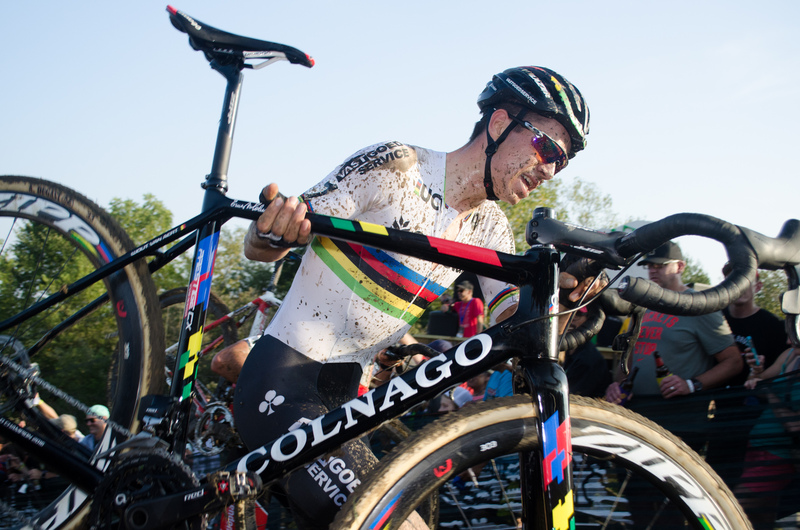 Here’s his gallery from yesterday’s World Cup action.